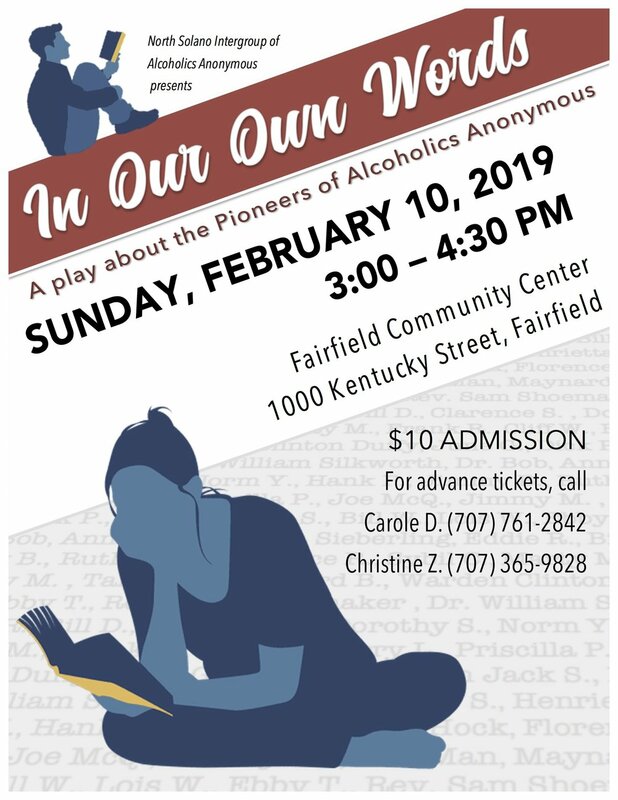 Performed by the Page 69 Sober Cast, the world’s first and only sober shadow cast. Admission included in conference registration. Click here for more information. East Bay show added due to popular demand. CLICK HERE FOR ADVANCE TICKETS. One show added due to popular demand. 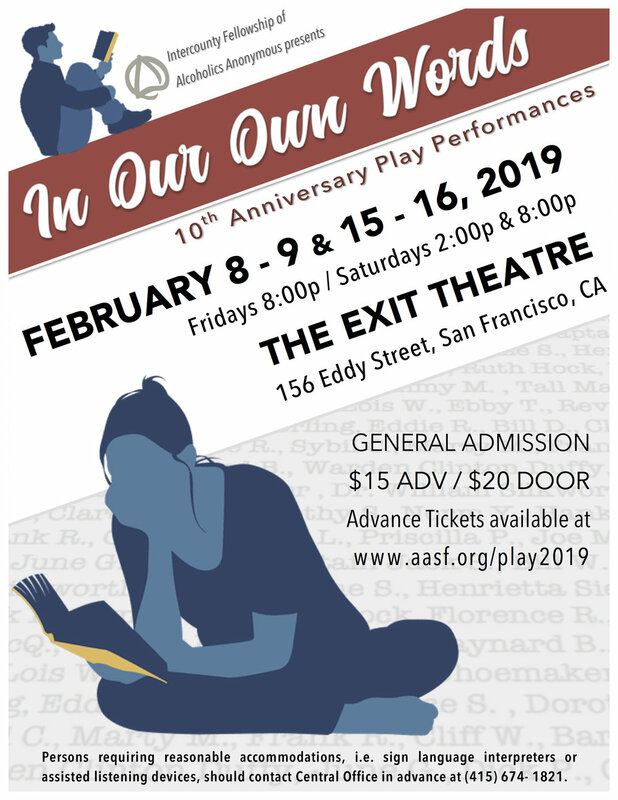 Remounting of Jackie B.’s first original A.A. history play. Produced by the SF Marin Intergroup. Proceeds benefit the Delta Intergroup. Proceeds benefit the Santa Cruz County Intergroup. Proceeds benefit the North Solano Intergroup. Proceeds benefit the Contra Costa Intergroup. 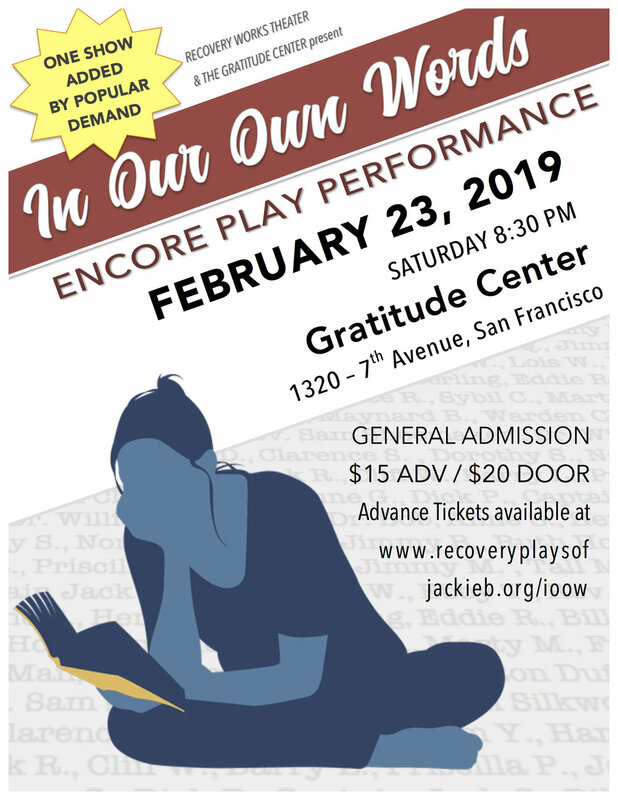 Proceeds benefit the SF Gratitude Center and Recovery Works Theater (RWT). Proceeds benefit the Ventura County Central Office. To purchase advance tickets, call (916) 454-1771 or visit Central Office at 9960 Business Park Dr. Ste. 110, Sacramento, CA. WITH LIVE ASSISTED LISTENING SPANISH TRANSLATION. Play included with event admission.